Equipment There's a load of information on the internet about equipment for outdoor activities, some of it valuable, some of it designed to make you part with money. Some equipment weighs down your rucksack and hardly gets used, so remember the golden rule 'Pack your rucksack, unpack it, leave out half the items, then pack it again'. These notes are my personal views, and you will have your own. It's what I've come to feel happy with after 30 odd years of walking and camping. I'd love to hear yours, so please use the feedback form to let me know. You can spend a fortune on equipment which you don't need and hardly ever use. I've done it myself. Others make do with hardly any specialist equipment. There are few things more demoralising than slogging relentlessly up a never-ending climb to a high, wild and lonely summit, feeling smug about your new lightweight rucksack, 150% waterproof jacket, feather-light tent and odour-wicking undies, only to find a young family in T shirts with kids in pushchairs having a picnic in the summit shelter. On established long-distance walks, like the National Trails, you'll find baggage carrying services which will take your bags from one overnight stop to the next, leaving you free to walk with only a day pack - I've seen people on the Coast to Coast Walk wearing dinner jackets and long gowns in the evening! You won't find this service on the Wild Yorkshire Way, although you can cobble together your own using taxis, buses and helpful B & B proprietors, and if I'm about I'll take your bags to Oughtibridge on your first day. I prefer to travel light and carry all my own stuff, washing it when necessary in hotel rooms or mountain streams. Don't take too much, make sure it's not too heavy, and concentrate on safety and comfort. Depending on what I'm buying, I prefer to shop where I can see, touch, feel and try the stuff. This is especially true for items like beer, and more expensive items like tents and sleeping bags. I can't go past an Outdoor Shop without popping in, and there are loads of them in walking areas. You'll meet several on the Wild Yorkshire Way, and often you'll get advice from fellow walkers in the shops. A quick Google will reveal several shops in your area, and I like GO Outdoors as you can either order online or visit your nearest branch for general purpose equipment. 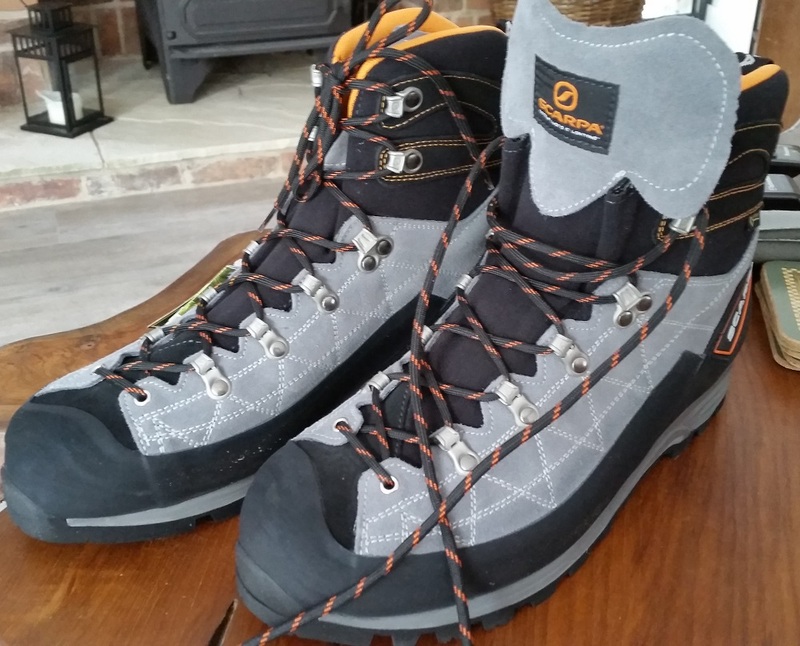 For more specialist stuff, my favourite online shop is Ultra Light Outdoor Gear, which is really good for weight watchers. The guys here are walkers themselves, they know what they're talking about, and they also pay UK taxes. If you're an outdoor shop, and you'd like a link on here, just let me know (and by the way I could do with a new tent). Clothing Rule 1: Never get all your clothing wet. Keep dry clothing for the evening, especially if you're camping. This could save your life in bad conditions. Keep some dry stuff in a plastic bag in your pack, and get a pack cover. When you head out in the morning, put your wet clothes back on. If it's dry, they'll dry with your body heat anyway. If it's wet, they'll get wet anyway. If you get all your clothes wet and you have to camp out in bad weather, you could be in trouble, so listen to Uncle Ian. Everyone knows you need comfortable boots for walking, with ankle support, which rules out trainers. If you're reading this, you've probably already got some, but if not, go and get some and wear them in before setting off. These days, many people use walking poles and several swear by them. I tried them for the first time in June 2016. I have to admit I liked them, and I recommend adjustable ones so you can change the length - short for ascending and long for descending. My arms were satisfyingly tired at the end of a day's walking, meaning that I'd reduced the load on my deteriorating knees. On multi day trips, I don't carry the extra weight of a full change of clothing for the evening - I wear one of my spare dry T shirts, a lightweight pair of trousers and sit around in the bar in my socks attracting funny looks from "normal" customers. The big question is waterproofs. Weather forecasts these days are very reliable, and weather radar allows you to spot approaching rain and head for the nearest pub. For a single day walk, I believe that expensive waterproofs are a luxury, as if bad weather is forecast you simply don't go! However, for a 500 mile walk such as the Wild Yorkshire Way, it's inevitable that you'll get some rain, so you'll need a good quality breathable jacket and possibly over-trousers. Don't expect to stay perfectly dry - you'll sweat even under the best quality fabric. You'll also get wet while you're fiddling about putting your over-trousers on when it starts raining, so make sure you get some which you can put on over your boots. Some people wear waterproof walking trousers all the time, so they don't get caught out by a quick shower, and many of these can be ventilated in good weather. Many people dispense with over-trousers and simply let their legs get wet. Under your waterproofs, the big principle is LAYERS. Several thin layers can be adjusted for all weathers. Next to your skin, spend a bit more for sweat-wicking odour-cancelling T shirts and underwear, which can be of great social benefit when meeting people in pubs along the route. They can also be washed by hand in hotel rooms or (without soap) rinsed through in mountain streams. If you're lucky enough to get a hotel room with a Jacuzzi bath, you can make a very effective washing machine (tip: there's one in Malham). 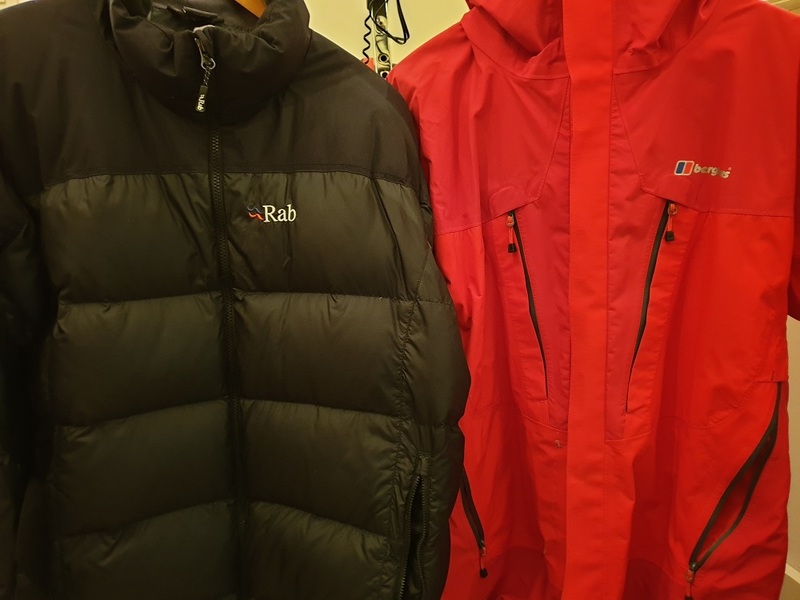 Make sure you've got something wind-proof for when it's cold and windy, but not raining. In winter, take a fleece hat and gloves. In summer take a baseball cap against the sun. Get some gaiters, especially when wallowing in black porridge on Saddleworth Moor or Little Whernside. Rule 2: Keep dry clothing for the evening. And don't wear jeans. They look good, but they don't like getting wet. If they do, they'll weigh 8 tons, strangle your thighs and take 2 years to dry. Navigation This bit is about navigation, and the most important aspect of navigation is to know where you're heading for. After all, if you don't know where you're going, how can you get lost? On the Wild Yorkshire Way you'll need a map and compass and you'll need to know how to use them. Your map can either be a paper one, an image on your phone or tablet, or in your sat nav, it's your choice. Your compass can be a real one, or a gadget built into your phone or watch. Maps are expensive, and heavy to carry if you need lots of them on a long walk, but you can join OS Maps for about £20 per year, which allows you to print A3 copies of maps down to 1:25000 scale. You can either print onto paper, or create PDF versions for viewing on your phone or tablet while you are walking. A really useful navigation aid, especially in hilly terrain, is an altimeter, available in some watches or as an app for your phone. A map is a 2 dimensional	view of a 3 dimensional world, or is it? The contours on your map add the 3rd dimension, and your altimeter brings them to life in the real world. In mist, your height above sea level can help you confirm where you are. Watch out for battery life if you're using an electronic gadget to store your maps - on day 3 on the Wild Yorkshire Way there's about 40 miles of walking over 3 days to come, with no chance of finding a mains plug without substantial detours. I used to take a solar charger, but unless you go trekking in the Sahara you'll find that a charger that can keep up with your phone will be too heavy. Some phones have removable batteries, so you can take an external charger and spare batteries. For most phones, a good power pack may be the only solution, even though they're quite heavy, but make sure you get a high capacity one (at least 10000mAh) if you're going to be away for 2 or more days - I top mine up at the same time as I top up with beer. 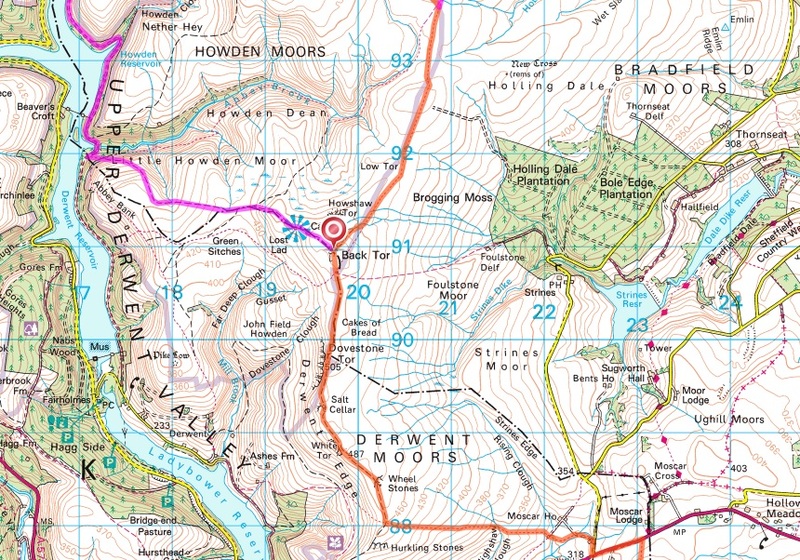 You'll notice that I've included links to both 1:50000 and 1:25000 maps on the Route section of this site, but the technically astute among you will of course realise this only works when you've got an internet connection, which will be patchy at best on the Wild Yorkshire Way. My solution is to spend many happy hours at home doing screen shots! In decent visibility, you can navigate with a map without a compass, but in mist and fog you will need to use both. Using a compass, it's vital to know EXACTLY where you are before you move, otherwise you will just drift further and further away from your correct route. Find a landmark on your map, such as a river, fence, wall, farm, cairn, trig point, wood or lake, and then find the same landmark on the ground. Features which have length, such as walls and fences, are best, since you can just walk in a general direction towards them and eventually you will hit your target. Remember the technique of "aiming off" when searching for a fixed point on a landmark. For example, if you have to find a footbridge across a river in dense fog, don't aim directly for it. If you do, you'll probably arrive at the river with the footbridge out of sight, as you cannot be 100% accurate. Instead, aim to one side of the bridge. For example, aim to arrive at the river east of the bridge, then when you hit the river you know you need to follow it westwards. Got it? If you use a sat nav, I'm afraid you're on your own as I've never used one for walking, but friends recommend the SatMap range of equipment, mainly because of their long battery life. They're not cheap though - a unit with full 1:25000 UK mapping will set you back close to £600. If you use a sat nav, remember battery life and have a back up plan if your unit fails. If you need to learn navigation skills, try this useful guide Ordnance Survey Map Reading Leaflet. One day you'll be glad you did. Sustenance Remember the Yorkshireman's advice to his son - eat all, drink all, pay nowt! The simplest solution to the cooking problem is not to cook. Even the lightest stove requires fuel, which is heavy and difficult to obtain en-route. However, more recently some wood-burning stoves have become available (for example this Toaks stove). A pot noodle takes a couple of minutes to prepare with boiling water, but not many people know that it can also be prepared in about 20 minutes with cold water, and tastes equally horrible. My solution is to carry cold food, sandwiches, fruit, biscuits etc, and study the map for suitable hostelries to aim for. Watch out for burger vans and ice cream vans, and don't waste an opportunity - you'll soon burn off the extra calories. My cooking days are over, but if you do want to cook without burning wood, I suggest meths rather than gas, as the stoves are lighter and the fuel comes in plastic bottles rather than metal canisters. Water is heavy. It's also very important, so take some with you. Get used to how much you need, but watch the weather forecast and always overdo it. Drink litres of the stuff before you set off in the morning and after stops. I've seen people arrive at their destination after a day's walking, weighed down with litres of water which they've carried all day, past many water sources, so work out what's best for you. Buy a decent water filter (mine is the Sawyer MINI Water Filter) and study your map for streams which you can drink from. Remember that in dry weather, your chosen stream may be dry or undrinkable. Stop at as many pubs as you can, but only drink water, like what I do. Never waste an opportunity to drink water, especially in hot weather. 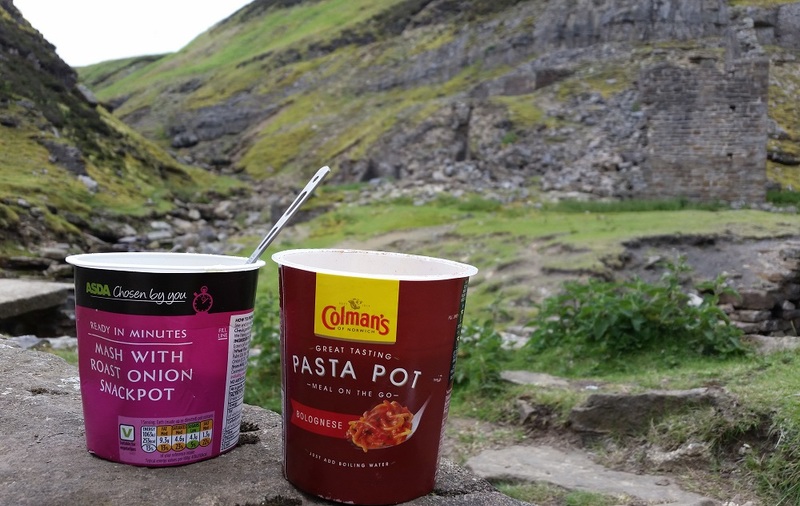 Many pubs and cafés will be happy to provide a packed lunch or a meal to take out, so if you stop somewhere for lunch and you're intending to camp that night, you can get your evening meal as well at the same time. You can make you own decision about how long food will last, depending on the weather conditions, but most food should be OK for 12 hours or so, especially overnight when it cools down. 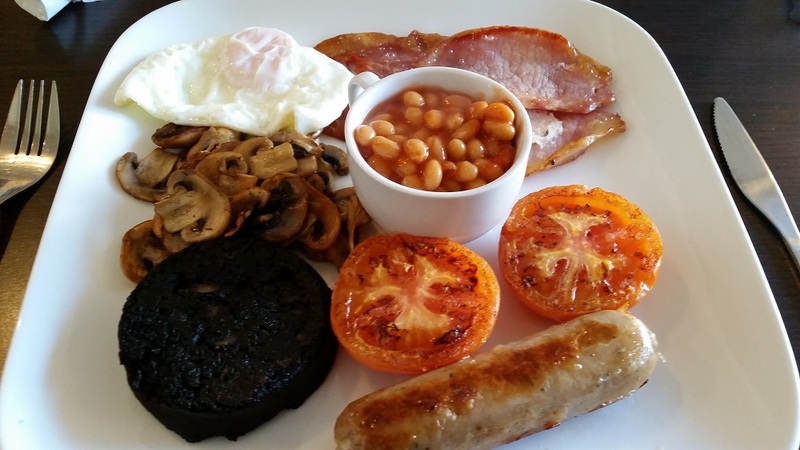 Don't rely on pubs or cafés marked on maps, or even on my website, as potential sources of food, as they may be closed. Some pubs close on Mondays, for example, or you may arrive in between their opening times. Worse still, you may find that the nice country you pub you expected has been converted into flats (very bad) or an Indian restaurant (very good if you arrive in the evening). I carry a couple of pot noodles, a few biscuits and the odd flapjack, just in case. When you stop for a snack, remember to eat the heaviest food first. Simple but effective! Overnight For overnight stops, you have several alternatives - hotels/B and Bs, a tent, a bivouac, or the open air. Hotels are extremely heavy, but as you don't need to carry them in your pack, that's not really an issue. 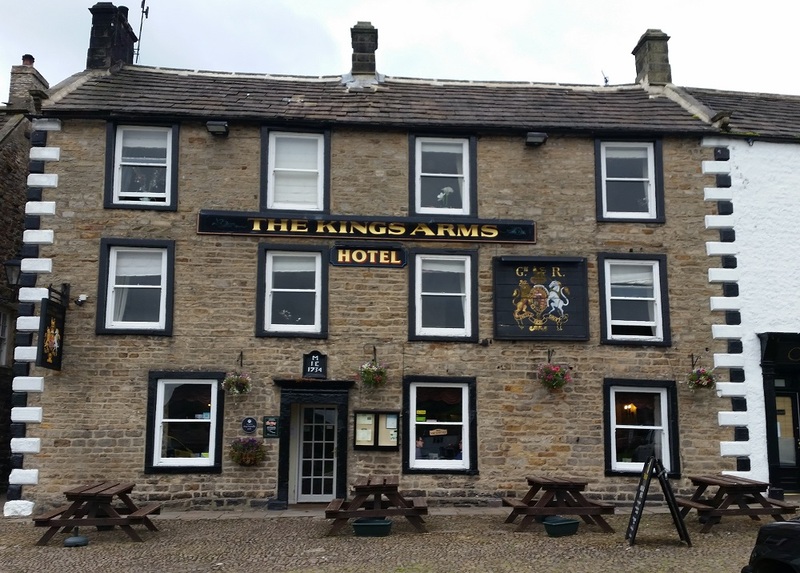 I did think about including an accommodation guide on here, but the truth is that things change so quickly as pubs and hotels open and close, and owners/prices change. There are many excellent websites with detailed accommodation guides, particularly on the official parts of the route. I usually take my tent with me - it's a one person tent weighing less than 900g from Terra Nova, my favourite tent manufacturer. In good weather, the joys of trying to spot shooting stars and orbiting space stations in the black night sky have to be seen to be believed, made all the more enjoyable far away from city light pollution. I've slept in all kinds of places, in ruined buildings, mountain bothies, summit shelters, coastguard huts, caves and on one occasion in a self-built igloo. Yes, honest! 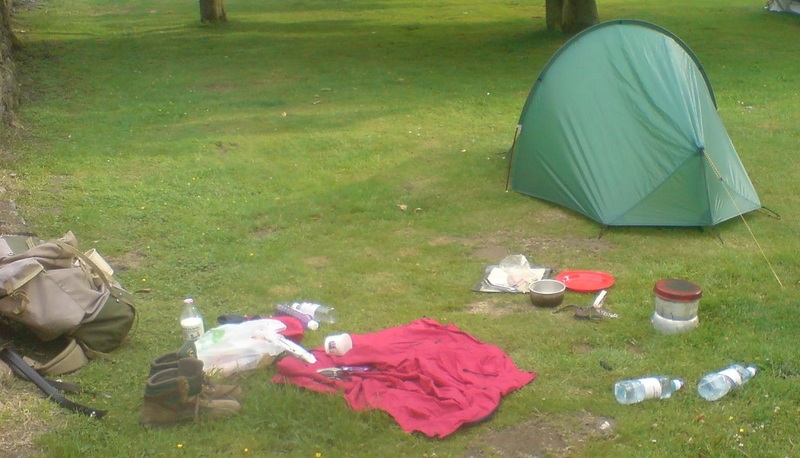 Much has been said and written about wild camping, and we all know we're not supposed to do it. However, it's tolerated in the higher, wilder areas and I do lots of it, but remember the golden rule - arrive late, leave early, leave no trace. Don't be tempted to put your tent in someone's garden, but don't be scared to ask in pubs as many of them will let you camp if you have a few pints and some food in the pub. Several farms will allow solitary or small groups of campers, an example being Cow Dub farm in upper Dentdale, so just ask and see what they say. Take a photo of your tent and keep it on your phone so you can show them that you mean business. So, if you're going to try camping, what do you need? Well, a tent is a good start (voice of experience here) and of course a sleeping bag. Get the best and lightest tent you can afford, as you'll be carrying it all day, and the same applies to your sleeping bag. Don't believe the temperature ratings on sleeping bags - you'll feel cold at the quoted limits,	and you won't be able to sleep. Wear your spare DRY clothes in your bag at night. The classic dilemma for your bag is natural v synthetic insulation - I prefer down, but you'll decide for yourself once you've investigated the pros and cons. A self inflating sleeping mat insulates you from the cold ground and provides some extra comfort, but is fairly heavy, so in summer you may wish to dispense with it. Campers usually have to carry their equipment with them, which makes their packs heavy. However, with a bit of ingenuity you can avoid too much of this and have "light" days by using public transport and staying 2 or 3 nights at the same place. For example, in the northern Dales there's a voluntary bus service called The Little White Bus. When you arrive at Keld, you can catch the bus to Reeth and stay there (either in your tent or in a B & B). The next morning, get the bus back to Keld and walk to Reeth, and stay over again. The next morning, walk to West Burton and get the bus back to Reeth, and so on. Sometimes the owners of a B & B might help out, as they can earn more from you. In this way you can stop 3 nights in the same accommodation, and have 2 days walking with a light pack, by leaving some of your gear where where you are staying. Footpaths The photograph on the right is a path on my intended Wild Yorkshire Way route, just after leaving Thirsk, that looked like it had been intentionally blocked by the farmer or landowner. I've never seen that before, although I have come across paths which were overgrown and little used. 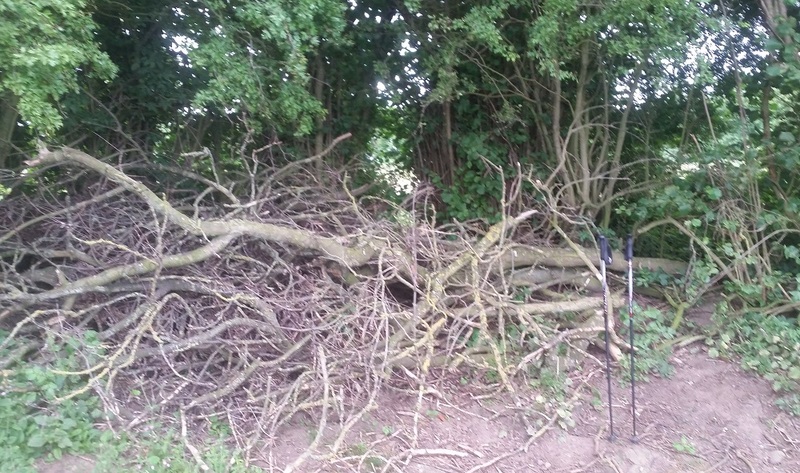 There were further difficulties later on in the same area, with missing stiles, padlocked gates, bridleways and footpaths intentionally blocked by crops. 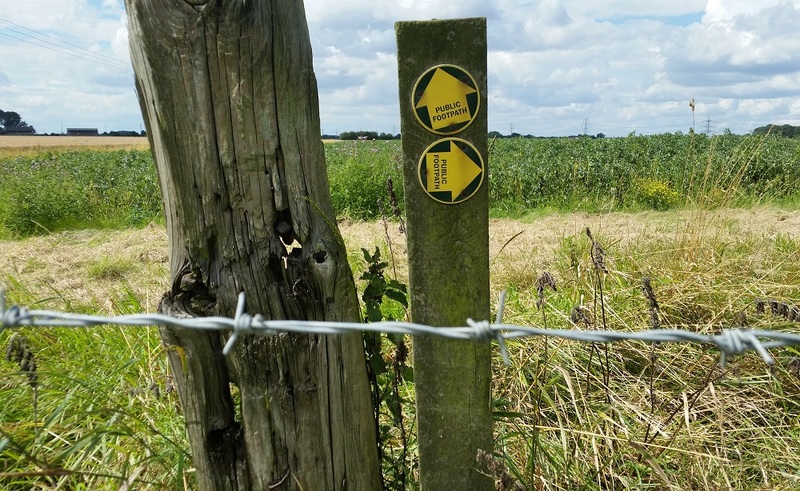 The photo below left shows a path near Crabley Farm on the Humber, where the footpath is clearly marked but blocked by barbed wire with no attempt to provide a stile or gate. This forces walkers to either trespass by circumnavigating fields, adding considerable mileage, or to trample down valuable crops by asserting their legal rights as walkers. I've reported the blockages I found, and it remains to be seen what, if any, action will be taken. I urge you to do the same if you come across similar problems - search for the local highways authority or use one of several links on rambling and walking websites. Most farmers I've met are normal, reasonable, understanding people. So are most walkers I've met. But inevitably, as in life, there will be 'dodgy' versions in both camps. There will be walkers who leave litter, leave gates open, damage walls, fences, stiles and gates, and are generally anti social. There will be farmers who dislike walkers, because they think they are all like my 'dodgy' version, so they think that blocking paths is the answer. It's not. If farmers take on walkers, the farmers will come second. The law is on the side of the walkers, whether the farmers like this or not. You won't keep walkers off your land by trying to make them feel unwelcome - all that will happen is that even more damage will occur as walkers attempt to re-open blocked paths, cut through barbed wire, break down walls and fences, arguably quite legally! My message to farmers is this. We all need you - you provide us with food, and most of you work hard to keep paths open so we can enjoy walking across your land. If you like walkers and welcome them, that's great, thank you. If you don't like walkers, you just tolerate walkers, or even if you hate walkers, you want to get them off your land as quickly as possible. The best way to do this is to keep the paths open and well signposted. If you plant crops which block a path, walkers will then spread out to try to find a way round the obstacle. Some will trample straight on, some will go round the edge of fields, usually resulting in the need to climb a fence or wall and damage it in the process. Whatever happens, they will spend longer on your land than you would like, they will walk in places you would not like, and they will damage things which cost you money. Maintain your paths, put signs up, don't be aggressive with walkers who are lost, just help them to get off your land. You won't win, trust me, the walkers will still be there after you've long gone. As a final message to farmers and landowners, and indeed anyone lucky enough to live alongside a popular footpath, why not supplement your income by taking money off walkers? Many of your properties are in remote areas, where walkers arrive tired, hungry and thirsty. An honesty box on a path, replenished regularly with crisps, drinks and refreshments, will bring in a small income for you and give those undesirable walkers much needed fuel to speed their journey away from you. 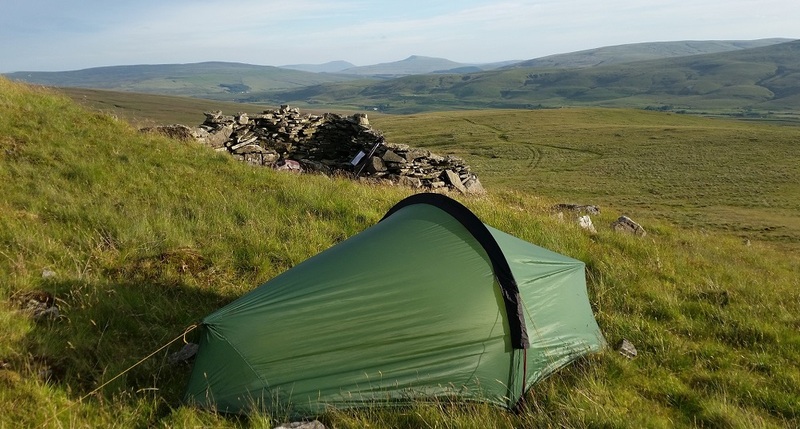 You may want to allow walkers to pitch a tent, provide a water tap or access to an outside loo (the beautiful Cow Dub Farm in Upper Dentdale is an example of this). You may even want to do B and B, or even just B if you can't cook. Walkers only need a bed for 1 night, many will have a sleeping bag and only need a bunkhouse or similar basic accommodation. If a path goes past or through your property, why not offer cups of tea/coffee, with or without snacks to go with it? Ravenseat near Keld is famous for this, and does really well from walkers. Happy farming, and happy walking! Nature Look around you, wild nature, that's why you're here. But remember you weren't here first! For most walkers, the love of nature is what gets them out. I'm no different. I like the countryside because of the chance of getting closer to plants, animals, birds, even insects (except midges of course) and fish. I like going up high, because the nature I see is different up there, and I see more of it, unless it's foggy. I love nature, but I detest those among us who use nature as a source of fun. Those who enjoy hunting and killing animals and birds, and building up entire industries around that principle. 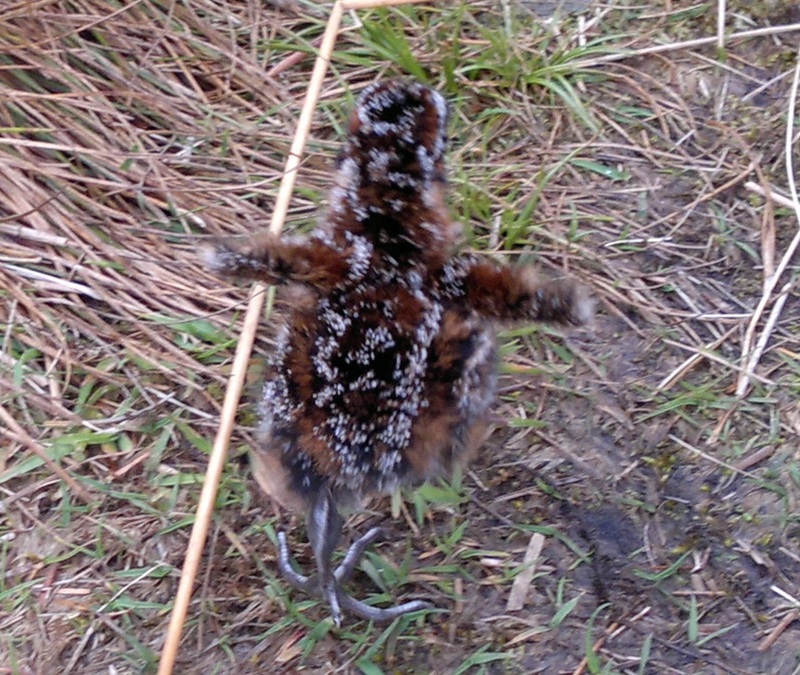 What part of a person's brain failed to develop, so that person could enjoy killing a young fox or a fleeing grouse? Where did that person go wrong? People will speak about eating animals for food. I'm not a vegan, nor am I a vegetarian. I love a nice juicy steak or a lamb shank. Some will claim that makes me a hypocrite. But I think that's different, very different. I believe that's what nature is about, and the evidence for that can be seen throughout the animal world. If I could eat a steak made in a factory, I would, but I can't. No, that's not what I mean. I'm talking about those who enjoy the chasing and the killing, in whatever form, whatever the target. I have to sit in pubs biting my tongue while people speak for hours about it. I see the evidence of it everywhere up on the moors near where I live. Sometimes, this has positive effects for walkers, as the paths and tracks on the moors are maintained, and in some cases even upland bothies are provided, for example the wonderful Dent Houses in Apedale, north of Castle Bolton. But getting enjoyment out of killing? No, I just can't understand it. No doubt some won't agree, and of course that's their choice. Or is it? I wonder what the fox, rabbit, deer, grouse or pheasant would say if they had a choice? Enjoy your contact with nature, admire it, photograph it, research it and learn more about it, but please don't destroy it. Someone else might want to enjoy it. It was there before you came, and it will be there after you've gone. Happy walking!